The Food Alphabet and More: Escape to Paradise, Escape to Shangri-La Boracay and more! It’s never too early to plan your next tropical escape to Shangri-La’s Boracay Resort & Spa. The resort lies right on the peaceful shores of northern Boracay, sprawled across 12 hectares you will find 219 rooms, suites and villas, seven restaurants and bars, two private beach fronts and a spa village. From 4 to 10 August 2017, book two nights or more to enjoy your next holiday getaway for stays between 4 August 2017 and 4 August 2018. 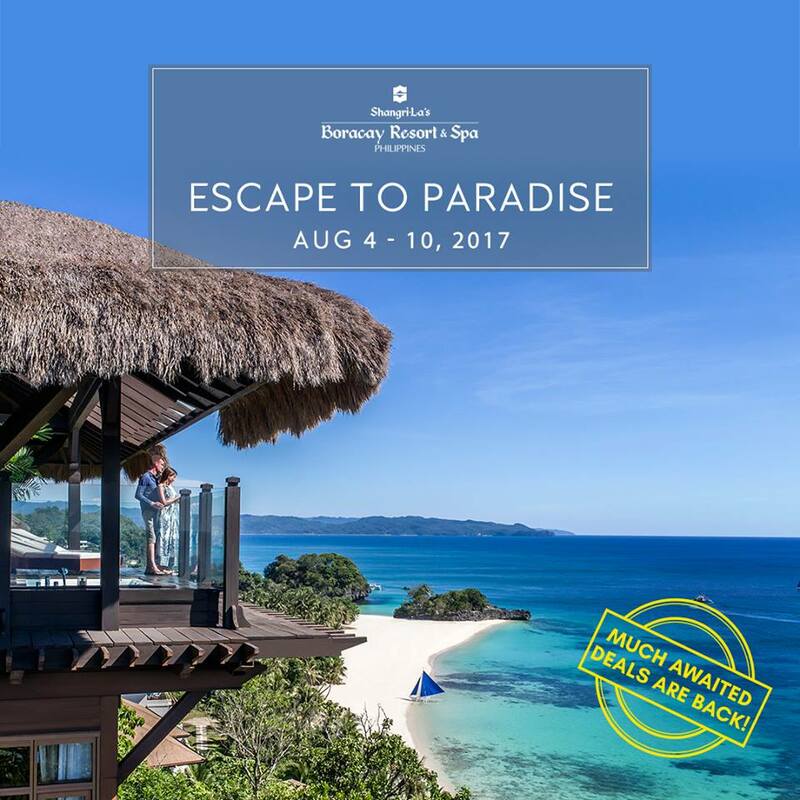 Visit shangri-la.com/boracay and book using the special promo code PLSALE17-B to avail premium deals for rooms and villas. Offer is exclusive to local Philippine residents only, with proof of residency required upon check-in. Per DTI-FTEB Permit No. 11561, Series of 2017.